All of our shutters come with a finish of your choosing from our colour range, included in the price. Simply pick from the colour and finish swatches your consultant will bring to your appointment. We also offer custom colour matching for a 10% surcharge. Our most popular colours are the paler shades: we’re talking the whites, creams, and greys that give an effortlessly classic look. Wood stains are also popular, lending a warm, natural hue to windows and doors. Most of our shutters are finished with a soft eggshell touch. Browse our colours below, and make an appointment today. Our painted shutters are finished with the highest quality, specially-mixed paint that results in a pristine, beautiful coat. 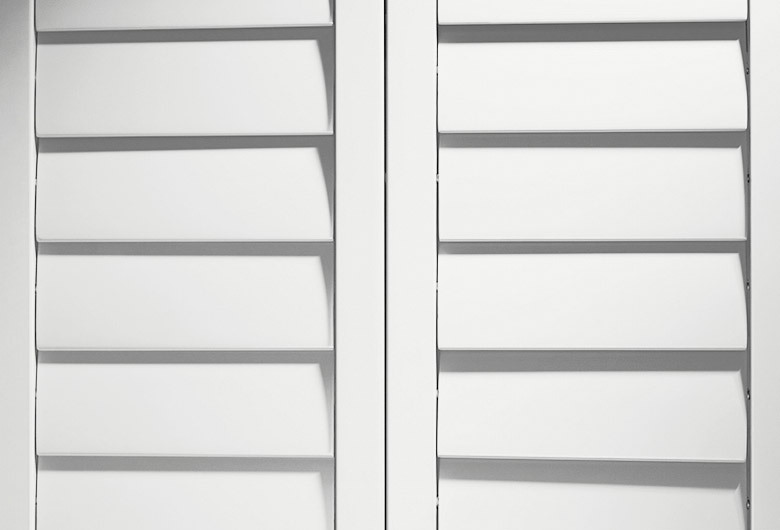 We also give our shutters an anti-fade treatment, which protects against fading from harsh UV rays. We also leave you with a tester pot of your chosen paint after we’ve installed your shutters, should you need to touch up any bumps or accidents down the line. All our shutters can be painted, including our Affordable Basswood, Classic Poplar, Premium Elm, and Waterproof Polyvinyl. Our Premium Elm range can be stained, rather than painted, and we must say, the natural, deep grain of Elm takes a wood stain like no other. Diverse and natural patterns make for extraordinary shutters, and with stains ranging from Natural and Warm Cherry to Java and Black, there are plenty of colours to choose from. 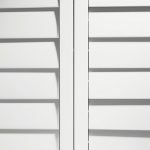 Pale colours are hands-down our best-selling shutters. Classic, effortlessly chic, and lifting in any room, white shutters are always a good choice. And as those who live and breathe interiors, let us tell you, white is not just white. Choose from soft tones including Biscuit, Shell, Dove, and Alabaster, and you won’t look back. After something with a dusky difference? Grey shutters retain the smartness of white shutters, while also adding a comforting difference. Grey is smart, and also homely. A great colour for a kitchen, grey works particularly well on cafe-stylé shutters. Ready to choose shutters, but unsure what shade to go for? Here’s a selection of our classically beautiful shutters!